A horrifying picture turned up on various sites on the internet showing an unidentified girl of 13 years, who is suffering a severe necrosis from a snake bite. 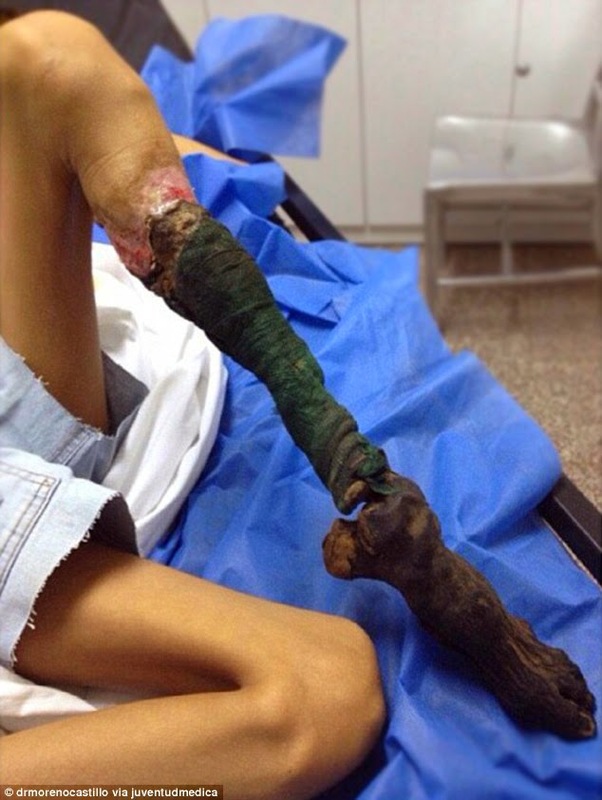 After being bitten by a snake, the girl’s leg is seen as it has shriveled and turned completely black as the snake’s venom caused the premature death of her cells. This left the tissues in her leg to perish, causing this leg to wither and rot away like a decomposing animal. She is also said to have suffered a laceration to the artery in her leg, causing the bleeding. This condition is considered serious and is called the ‘compartment syndrome’. The 13-year old girl was first treated by remedies from the ways of the indigenous culture where she was from. She has received a classic rural treatment but is often only able to treat infection secondary to snake bite. It was unlikely that the girl was given any anti-venom treatment to keep her blood from flowing throughout her body, which could have helped in stopping the spread of the venom to other parts of her body. She was eventually taken to Carcaras, Venezuela for medical treatment a month later. A doctor, who has seen the photograph via the instagram account of someone under the username 'juventudmedica', told MailOnline that it is necessary to amputate the girl’s leg. Although the amputation required may be done successfully, it is still likely for the victim to die from the snake venom due to the nature of the poison. 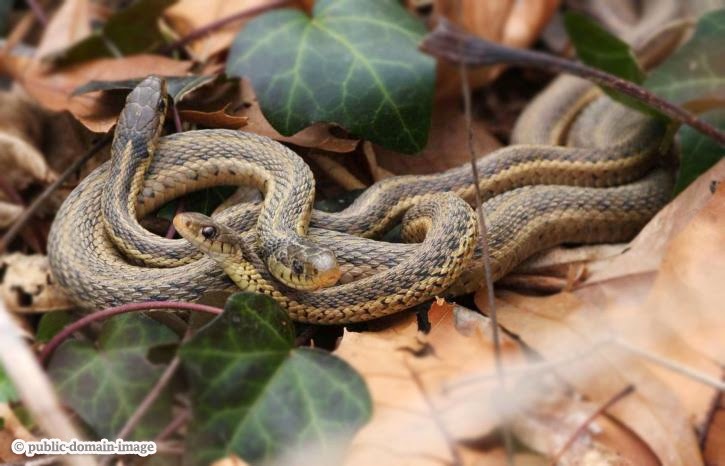 A Private GP in Liverpool named Dr. Arun Ghosh stated that the snake’s venom was very complicated and it depends on the species of the snake that bit the girl. Through thorough treatment, the girl’s body is showing signs of muscle wastage from the poison and muscle tissues began to die throughout the body. This condition is called rhabdomyolysis which is said to result to kidney failure, and ultimately, death if left untreated.